Utah Drinking Water Annual Report. 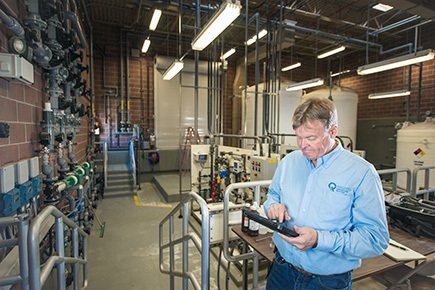 The Division has a policy that allows chemical sampling for sources that combine at an entry point to the distribution system, and sources in a common aquifer. For a common entry point grouping, the policy states that in order to maintain the entry point status that systems must submit a sampling plan to DDW. If a system has sources in a common aquifer, then it must apply for those sources to be grouped into a sampling station. The deadlines for a system to submit either the sampling plan or the common aquifer application are stated within the policy. The Drinking Water Board has prepared this resolution.